The discovery at Broadford Primary School sparked renewed calls for a new building to replace the beleaguered property. Maintenance work on the roof dislodged flakes of paint that were found to contain small amounts of the toxic substance. This forced the school kitchen to close, and the children were given sandwiches for lunch instead. Head Teacher, Stephen Atkins of Broadford Primary School. Further work was carried and the kitchen reopened yesterday as normal – but parents and politicians remained concerned amid a mounting series of environmental problems at the school. 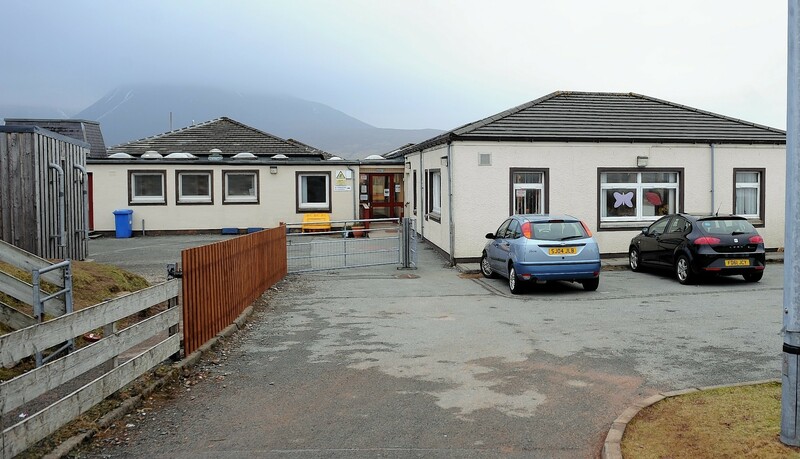 Chairwoman of the Broadford Primary Parent Council Norma Morrison said she is tired of the “political ping pong between Highland Council and the Scottish Government”, adding: “We just need a new school. “I don’t know if any parents are thinking about pulling their kids out of school but they are very worried – we know the building is done. It is not a safe or suitable environment to educate our children. The condition of the school is such that children’s health has been affected with Mrs Morrison’s own child suffering asthma until going to another school. 2014 – Buckets in classrooms and corridors because of roof leaks. February 2015 – Condition of school described as “scandalous” by Councillor Drew Millar who makes one of the first calls for a completely new building. 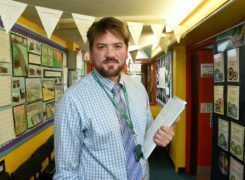 May 2016 – Councillor Hamish Fraser claims children have to “dodge buckets” at the school when it rains. June 2017 – Funding agreed for new modular classroom for Broadford days after mushrooms were found growing in the school. October 6, 2017 – Highland Council delegation visits school where a drip from a leaking roof hit Budget Leader Alister Mackinnon on the head. November 4, 2017 – MP Ian Blackford adds his voice to calls for the school to be replaced. January 2018 – P4-7 Gaelic medium class and a special needs unit still housed in an unfinished temporary block despite replacement arriving in December. January 24, 2018 – Pupils write to Deputy First Minister John Swinney calling for the damp, leaking building to be replaced. February 2018 – A survey of parents finds that around a third of children experienced breathing problems since starting school at Broadford. September 3, 2018 – Deputy First Minister meets with Broadford Primary parents to hear their concerns, says it is a local authority matter.